A neurological evaluation is a clinical assessment of the nervous system aimed at detecting any abnormalities which may be related to a nervous system disease. 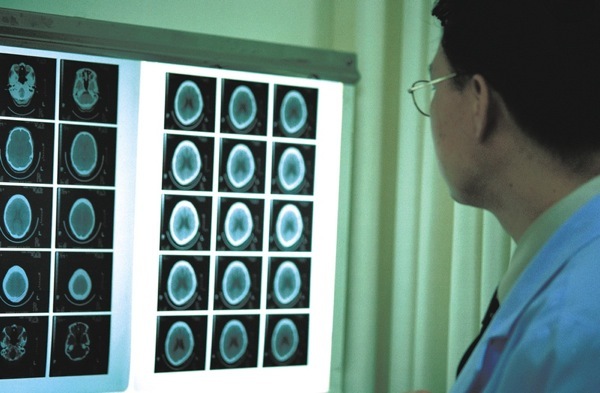 An initial neurological assessment may be conducted by a primary care physician such as an internal medicine doctor or family practitioner, but a complete and thorough assessment is generally conducted by a specialist in the area of neurological disorders such as a neurologist or neurosurgeon, depending on the disorder in question. The neurological evaluation is a complete assessment of the nervous system but may be focused on parts of the nervous system related to symptoms with which the patient is presenting. For example, a patient presenting with back pain and leg symptoms may have a focused neurological assessment which spends more time evaluating the legs and back while a patient presenting with facial weakness and difficulty with hearing may have a quite different assessment. What Does a Neurological Evaluation Usually Entail? An evaluation of the nervous system for nervous system diseases can include three general components, a subjective review of the patient's presenting complaints and medical history, a neurological exam and diagnostic testing focused on the nervous system. The review of the complaint and medical history is common to all medical assessments. The patient is questioned by their physician about all aspects of their complaint or symptoms as well as details of their past medical history, family history, medications, allergies, social history and a review of other symptoms. This helps the physician understand the complaint as well as other medical conditions and other aspects of the patient's history which may impact the current problem in one way or another. The neurological exam is a physical examination which is focused on the nervous system. It is aimed at determining any signs or symptoms related to the nervous system or its function. The complete nervous system examination is quite detailed with several areas of the body examined. We will not list every physical exam test and maneuver here but the general sections of the complete neurological exam are described on the neurological exam page. Finally, after these assessments by the physician, diagnostic testing is used in some cases to help detect a suspected or concerning pathology. This varies from patient to patient and from disease to disease. However, common tests or studies used to help diagnose nervous system diseases include x-rays, MRI scans, and CT scans of the head and/or spine. Additionally, nerve conduction studies, electromyelography (EMG), eletroencephalograms (EEG), blood tests, lumbar puncture (spinal tap) can also be used in some select instances. There are other tests, procedures or studies which are performed in more specific examples. For example, in a patient with a tumor, a biopsy or removal of the tumor is sometimes required to make the definitive diagnosis. All of these parts of the neurological evaluation can help the physician to determine the most likely diagnosis as well as the most appropriate course of action. Determination of prognosis and treatment for the disease rely on this evaluation and the data it supplies. Every patient and disease is different and the specific aspects of one patient's evaluation may differ somewhat from another. from the Neurological Evaluation page.